It was just a matter of time. Schools across the country are realizing that the schools of the future are going online. It will happen first in small increments, with some local schools creating their own online platform. Others will opt to join more well established corporate learning sites such as K12.com or Connections Academy. Using cutting-edge technology and real-world staff in a central headquarters, the schools that operate under such corporate leadership hope to get a slice of the pie that will allow them to function as an online education portal for local school kids. This idea is great in general, because it lets kids learn from home, and offers a real solution for homeschooling that wasn’t there before. It allows parents to take the lead in their child’s education with the help and support of a certified teacher. Should You Put Your Child in Such System in the Middle Grades? The middle grades are an important transition when many changes occur physically, socially and intellectually. Some would argue that pulling kids out of regular brick-and-mortar school systems during this critical time is detrimental to their success in school. They need real-world interactions with peers to grow psychologically. Online schools do let students interact in the online environment. The question: Is that enough? Proponents of the virtual school model claim that, so long as students have occasional outings with their same-age peers, they will thrive socially in the same way their traditional school counterparts do. Others fear that such limited social contact in the real world will further discourage real growth socially due to too much screen time removed from the real world. We are in an age of change. Technology is the fuel that is moving this change forward. Some schools, like businesses, feel they must have an online presence in order to compete. Others, determined to hang onto the old ways, stay in the comfort of their brick-and-mortar settings, refusing to believe that an online education is the best solution. Kids in the middle grades do need real-world interactions. However, some studies have shown that kids who are homeschooled do just as well or better than traditional students, as long as the support is there to help them reach the academic and social goals they need to be successful and to thrive. Kids learn technology skills that they need to thrive in their careers and everyday lives. Many universities are going online. 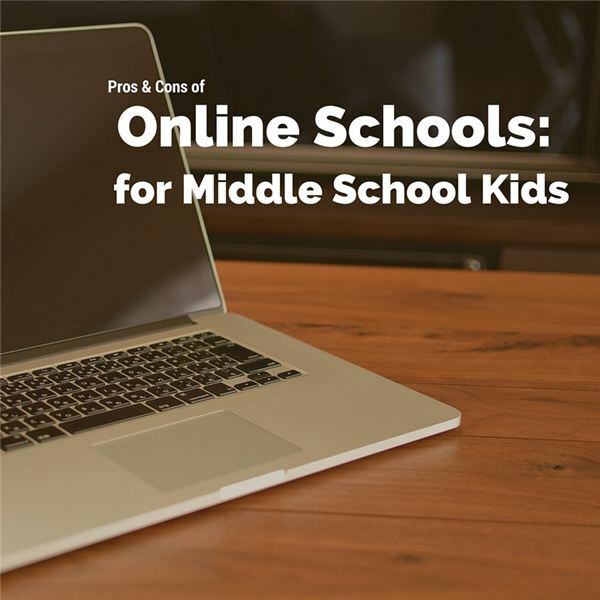 Getting an online education in the middle grades helps students prepare for other online learning platforms in their secondary college years and beyond. Students obtain social and academic interaction with their peers that will help them learn to get along and collaborate with others in an online environment. This is something they will do regularly in most careers today, even ones based in a brick-and-mortar setting. They have plenty of opportunities for learning that extend beyond the basic classroom setting. They have access to numerous new tech gadgets and apps, as well as online tools that teachers in a regular school don’t have access to. Virtual schools tend to nurture online entrepreneurship more than brick-and-mortar schools do. It also puts students in an environment where entrepreneurs need to be to maximize their connections as business owners. Some virtual schools even offer classes in entrepreneurship. The world is changing and many parents wonder if enrolling their middle school-aged children in virtual school is the best move. While there are arguments on both sides, consider how your own child learns best. For a student who works and learns well independently, online learning and virtual schooling may be ideal. It also nurtures entrepreneurship. Many more people work at home these days and online learning prepares them ready for this, if they choose to work at home. Weigh the pros and cons for yourself, then decide what works best with your child.